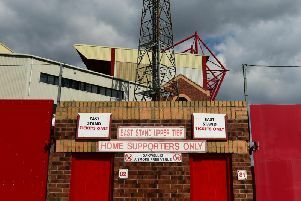 Fleetwood Town could soon be the hub of pre-season activity with players moving in and others being sent out on loan. Town’s head coach, Uwe Rosler, said he was still on the lookout for new recruits with the new season getting ever closer. Speaking in the wake of the 2-0 friendly win over Bolton Wanderers on Saturday, Rosler said: “We are on track, but, recruitment-wise, we are not finished. Rosler did not jump to any conclusions after the Bolton win and said: “I am not getting carried away - we are still not where we want to be. “It was a good team performance against a very physical and strong side like Bolton. “The new players have integrated well. You could see the work we have done over the past four weeks. Explaining the reason for fixing up a friendly with Bolton at this point, the Fleetwood boss said: “I chose them in particular to see how we could compete. “We don’t have the tallest team or the oldest. “We are one of the youngest teams in the league and probably playing against a physical, strong, experienced team like Bolton that can cause a problem. Rosler says he is pleased to have got a full pre-season with his players as opposed to last season when he came right on the eve of the campaign. He admitted: “Last year I didn’t have much influence in pre-season, more or less. “We have got a lot of work done; the players we had last year came back in a very good shape. “That indicates to me that they really mean business this season. Tuesday night sees Fleetwood travel to Prenton Park to take on a Tranmere Rovers side, managed by former Highbury boss Micky Mellon. The Scot played a key part in steering Town into the Football League during his spell in charge from 2008 to 2012. There are several former Fleetwood players on the Tranmere books, Scott Davies, Stephen McNulty, Andy Mangan and Jeff Hughes. Fleetwood could make a number of changes. Fleetwood man-of-the-match, Conor McAleny, made a favourable impression, rounding it all off with a splendid goal. He said: “It worked out to be a good team performance. The goal was a bonus, but the lads should get the credit. We have been working hard in pre-season. “We have been working on specific shapes with the gaffer and the way he wants to play .